Home News As E-Sports Hit The Asian Games, What Is Its Future In India? 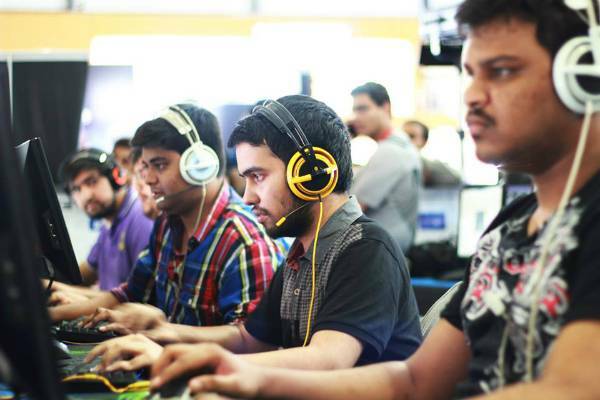 As E-Sports Hit The Asian Games, What Is Its Future In India? It has been an unknown activity for quite a long time, the teenagers of Millenials enjoying the amusing video games at home never could think of taking it as a profession at their early stages. It brings us huge satisfaction to finally see Electronic Sports as a major event at the Asian Games. Though, not a medal sport this time, E-Gaming is set to inaugurate its way into the Sporting World. From 2022 E-Sports shall become a medal event at the Asian Games. China, as usual, has been secretly doing wonders at the development of Electronic Gaming as their Electronic Sports industry is projected to be a $1400 million industry and is expected to grow manifolds and cross the billion mark with 2020, which includes media rights, advertising, sponsorships, merchandise, tickets, and game publisher fees. On the other hand, the darkhorse nation India has been seemingly doing well at the Electronic Sports at an amateur level. The Indian E-sports industry has already hit the $800 million mark and is expected to even get better within the years to come. The Electronic Sports Federation of India (ESFI), the sole federation of E-gaming in India has already been recognized by International E-Sports Federation (IESF) and Asian ESports Federation ( AESF) but is yet to be recognized by the Indian Sports ministry and Indian Olympic Association (IOA). ESFI is still at a baby period having been created in 2016, it would require a lot of changes in it to compete at the International market. The Indian contestants faced a lot of problems at the Asian Games because of the Federation not being recognized by the Nation’s Olympic Association. Chinese giant Alibaba itself is investing in the Indian gaming market, along with its $100 million investment in Chinese E-sports. So while China has become the second largest E-sports market in the world, second only to the US, things are changing at a rapid pace in India too and we can firmly believe that Electronic gaming in India can reach supreme heights in the years to come. Previous articleKSI vs Logan Paul sold almost as many PPVs as Jones vs Cormier 2! Photos: The Stacy Ann-Marie Keibler Story.